In the distant year of 10191, all the planets of the known Universe are under the control of Padishah Emperor Shaddam IV and the most important commodity in the Universe is a substance called the spice "MELANGE" which is said to have the power of extending life, expanding the consciousness and even to "fold space" ; being able to travel to any distance without physically moving. This spice "MELANGE" is said to only be produced in the desert planet of Arrakis, where the FREMEN people have the prophecy of a man who will lead them to true freedom. This "desert planet"of Arrakis is also known as DUNE. A secret report of the space "GUILD" talks about some circumstances and plans that could jeopardize the production of "SPICE" with four planets involved: ARRAKIS, CALADAN, GIEDI PRIME and KAITAIN, a world at least visually very alike to Earth and house of the Emperor of the known Universe. The "GUILD" sends a third stage navigator to KAITAIN to ask details from the Emperor and to demand him the killing of young Paul Atreides, son of the Duke Leto Atreides of CALADAN. 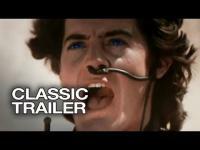 Dune (1984) is an American science fiction, action, adventure movie that was based on Frank Herbert‘s novel, Dune (1956). Director and writer David Lynch (Mulholland Drive (2001), Twin Peaks: Fire Walk with Me (1992), The Elephant Man (1980), Blue Velvet (1986)) executed this dark but yet intriguing movie nicely. I was not checking the time nor did my mind stray while viewing this film because it was an interesting piece of work. There are three cuts of the movie, regular - 137 min, special edition - 190 min, and the extended cut - 177 min. I recommend viewers to see the special edition if you can or the extended cut. There was numerous/countless goofs in this movie that keen movie viewers might notice, but it did not take away from the film being an exceptionally entertaining watch. The movie left me wanting more and made me realize that I should watch a movie regardless of what others say because everyone has a different opinion. The entire cast did a superb job with their roles, and the music was stunning as well as the visuals, sets, and a few scenes. to gain control of the planet Arrakis. Arrakis is also known as Dune and is the only planet that has the drug melange/spice that is a very valuable commodity. Padishah Emperor Shaddam IV (José Ferrer - Lawrence of Arabia (1962), The Caine Mutiny (1954), Moulin Rouge (1952)) rules the universe ten thousand years in the future. Melange or "the spice" has the power to extend human life, expand consciousness, and is the most valuable commodity. The Spice helps Spacing Guild with folding space and allows them to be safe while instantaneous interstellar traveling. The Emperor’s confidentially shares his plans with the emissary from the Guild to destroy House Atreides. The Emperor feels threatened by Duke Leto Atreides (Jürgen Prochnow - Das Boot (1981), The Da Vinci Code (2006), The English Patient (1996), Beverly Hills Cop II (1987)) who might be making a secret army. The Emperor decides to give the planet Arrakis/Dune to Atreides and have their longtime arch-enemies, the Harkonnens ambush them. What happens next is a twist and is worth seeing because there is a huge amount of female characters that enter the fight. The movie was beautifully done with its mystical atmosphere and wonderful screenplay. The worm part was nicely done, and that was by far the most joyous part for me as it was impressing. All science fiction movie lovers should watch this movie with an open mind at their earliest convenience. There are a lot of questions left open, and I think it was purposely done to get viewers to form their answers. Avg. Rating: 2.97/5 stars from 108,239 users.